Well it’s that time of year again the first day of the domestic cricket season so naturally as in years gone by the weather is absolutely awful with temperatures that are usually only experienced in the depth of winter. Ipplepen residents sit looking out of the window at the weather in a deep mood of despondency at what appears to be the unexpected and unwanted return of winter. No-one feels more melancholy than the cricket club secretary who also doubles (or should it be tripled?) as the public relations and match reporter for the club who has over the years developed a knack of being able to elevate his match reports to a level of high literary art on par with Hardy, Dickens or Terry Pratchett. In reality it is usually a case of him having taken a very good and studied look at how the game has developed and then completely ignored what he has seen and apart from the result (which is difficult to ignore) set off on a flight of fancy in describing how the runs were made and wickets taken. 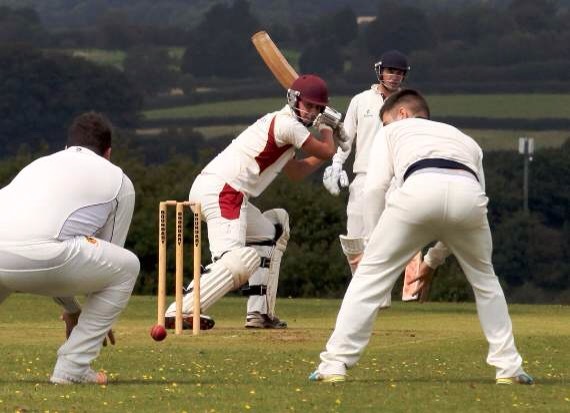 The result of which is that the Ipplepen Cricket Club is made up of a mixture of fascinating characters from the mundane to the raging eccentric? What they all have in common is the ability when on the cricket pitch to subdue their normal instincts to the benefit of the team as they approach each match with a devotion to the collective endeavour of “playing the game”. Of course all this – apart from it being the first day of the cricket season and the weather – is fictitious……………..
Or is it – ?????? ?